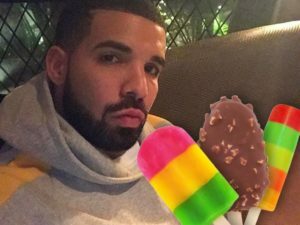 It has been a hot summer for the Toronto rapper Drake coming off the vicious battle with Pusha T but Drake had a way to cool things off. The rapper has spent over $10,000 to buy 1000 ice creams and pass them out for free in a few LA neighborhoods. The free ice cream giveaway also worked as a good promo tool the ice cream cart has lyrics from his new album on the side.